We are very excited as we have a volunteer who is willing to help Thandi with counseling. She is studying her Masters in psychology. This will help a great deal with our pregnant teen’s program. We are looking forward to working with her. 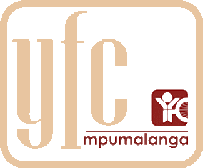 YFC had officially partnered with the White River Methodist church who do not only contribute financially, but donated office space for Ronas in White River. We will also embark on joint out reach ventures with them, including a Youth Festival planned for early 2011. This year our staff conference was a great success all our national offices were involved from Cape Town, George, Knysna, Mpumalanga and the Head Office in Johannesburg. The theme was Kingdom Come and was held at our campsite in Magaliesburg. Speakers were Chris Mathebula, Wesley Gomes and Craig Rowe. Our National director Rolf Weichardt also spoke on YFC Kingdom Culture. We had interactive workshops, workshops and organized sports activities which everyone enjoyed. We all went on a walk up the mountain which was lovely a time to reflect. The last evening we had a formal Banquet “The King and I” which everyone enjoyed. The ladies got dressed up for the occasion. had the charges dropped saying she was just making it all up. We have been counseling her for a few months now and have see n a remarkable change in her. She is no longer so angry and she has forgiven the stepfathers. We are busy working with her mother and her to bring about a good relationship between them. She has also returned to school as she had to drop out when she fell pregnant. We will still council her for awhile but she is much happier now and has a lovely little baby girl.